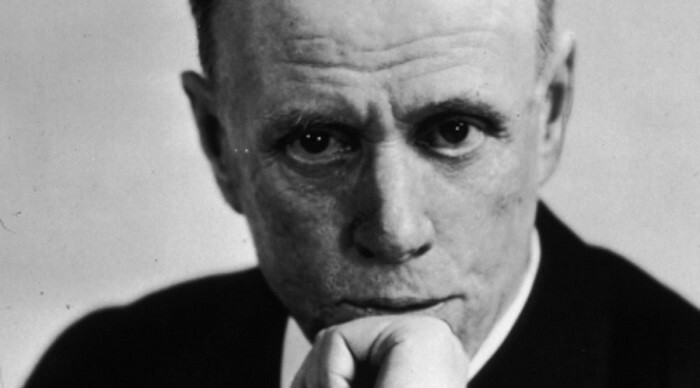 Although Sinclair Lewis is known to many as the author of such bestsellers as Main Street, Babbitt, and Elmer Gantry, he’s been rediscovered by a new generation for his dystopian and sobering novel It Can’t Happen Here. 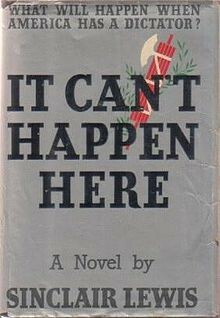 Written in 1935, during the middle of the Great Depression and just prior to the presidential election of 1936, It Can’t Happen Here posits what would happen if, in a very contested election, with many people fearing what the future might bring, a man who promises he has all the answers and presents himself as an outsider and man of the people, wins the election. It turns out he’s a fascist. The connections between that election and the campaign of 2016 are all too scarily clear. The novel presents several groups of people who have very different ideas about the direction the country should take. The thoughtful but naive liberals, including the protagonist Doremus Jessup, a newspaper publisher in Vermont, expect that the democratic system will work the way it ought to and that the rights of citizens will be honored. We also see groups of businessmen who claim to be patriotic and think that the best way forward for the country is to reduce income taxes, get rid of labor unions, and secure the peace by creating more weapons — just in case. There is also the “League of Forgotten Men,” mostly white lower-class workers who feel that the system is set against them and want a change — someone who seems to know all the answers and wants to make America great again by restoring a golden past that never existed. The plot has many parallels to the situation in our country today — and warnings for what might happen. Although folks in the novel and in today’s society say that fascism “can’t happen here,” once Windrip is elected, he demands that “he should have complete control of legislation and execution,” and that the Supreme Court cannot block his actions. He then proclaims martial law because of political unrest, and has more than a hundred Congressmen arrested. Freedom of the press becomes diminished, then extinct; Congressional investigations are stifled; the Minute Men, a private militia, become the enforcers of the new president; all political parties are abolished; strikes are forbidden; African Americans have their property seized, and they, as well as women, are “put in their place,” limited in what they can and cannot do. Every thinking American should be reading It Can’t Happen Here to become aware of what a fragile thing our democracy is. This article originally appeared on Signature. Sally E. Parry is an Associate Dean in the College of Arts and Sciences at Illinois State University. She is the Executive Director of the Sinclair Lewis Society and editor of the Sinclair Lewis Society Newsletter. She is the editor of two collections of short stories by Sinclair Lewis and, with Robert L. McLaughlin, author of We’ll Always Have the Movies. Penguin Random House, Inc., the world’s largest English language trade publisher, bringing you the best in fiction, nonfiction, and children’s books.